Our guide boats were out on a number of trips this past week and for the most part the fishing was solid. 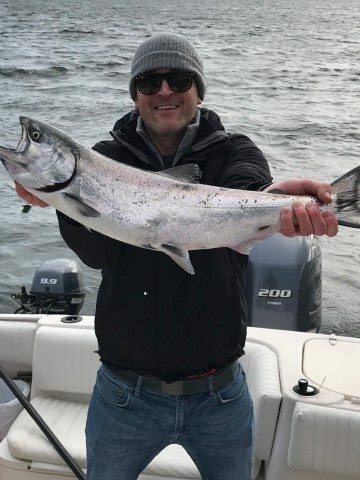 Our guests worked hard and were rewarded with some nice fish along with some more that managed to get away, and a fair amount of undersized fish. We have been focusing our efforts in Vancouver Harbour around the Bell Bouy and the freighters area, which has been productive this past week. There has also been a few good reports from further up Howe Sound as well as across the straight, but with consistent fishing locally the last week that is where our focus has been on most trips. The usual flashers such as the Lemon Lime Series, Salty Dawg & Chilli Pepper with some glow tape have all been productive. In terms of spoons, the G-Force and Skinny-G’s in 3-3.5 inch size have produced fish and so have the Kingfishers in the 3.5 inch size. 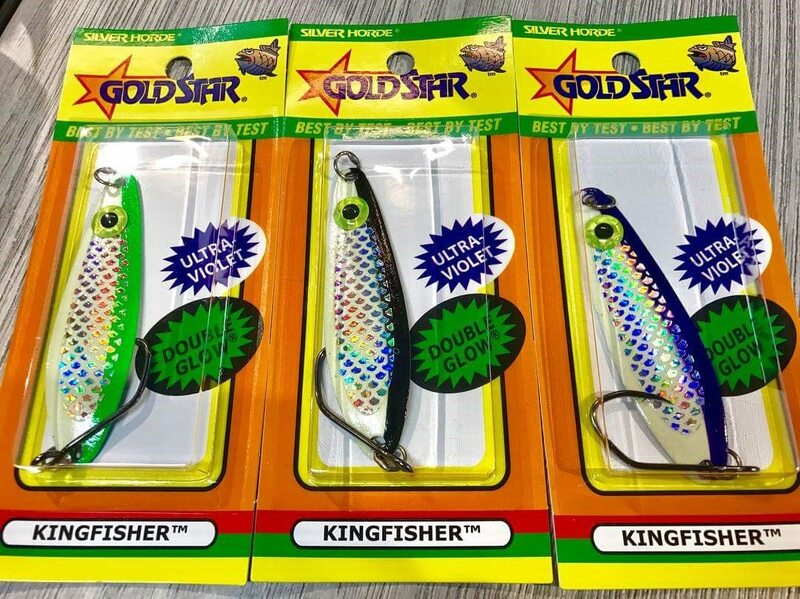 The Kingfisher 3’ “Irish Cream” is my personal favourite this time a year, but make sure to check out the new Kingfisher UV/Glow Black “Two Face” as well as the Irish Cream “Two Face” which are my new favorite spoons. They feature glow paint and a UV stripe on the front and a nickel finish with UV stripe on the back. The “Two Face” series also feature a significant eye on the front, and are perfect for local spring chinook fishing. The Kingfisher two face series! Typically keeping the gear close to the bottom is the way to fish for chinook this time of year but we have started to get hits further up. So if you are fishing in 130 feet or deeper and the bait balls are large or suspended off the bottom, it could be a good idea to stack at least on one rigger to cover more water/depth. Crabbing has picked up since the last report, so bring some traps and set them in the usual hot zone of 45-65 feet of water while you are fishing. Prawning has been slow, but with the opening April 1st it shouldn’t be ruled out as more areas are opening. 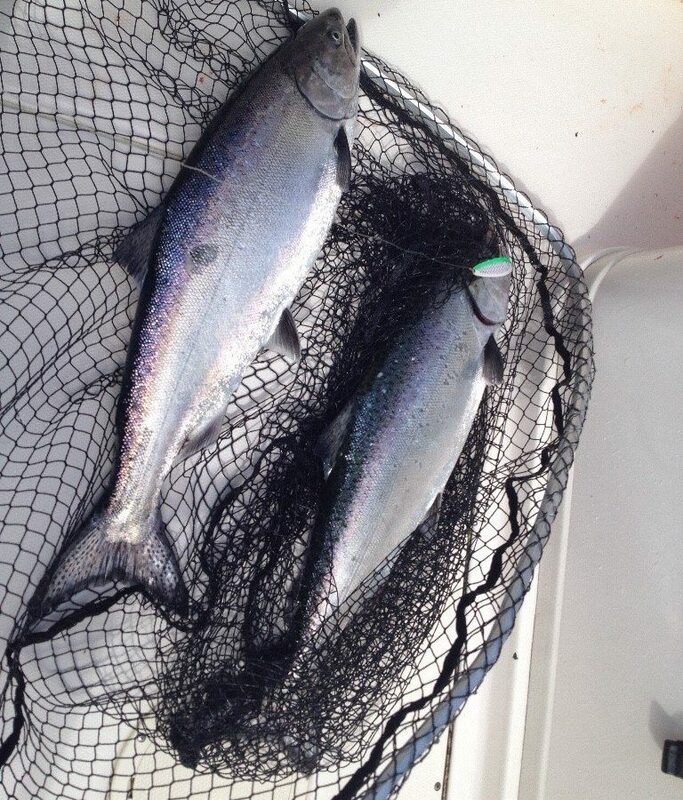 If you would like to head out give our charter line a call at 778-788-8582 and I’ll book you in!